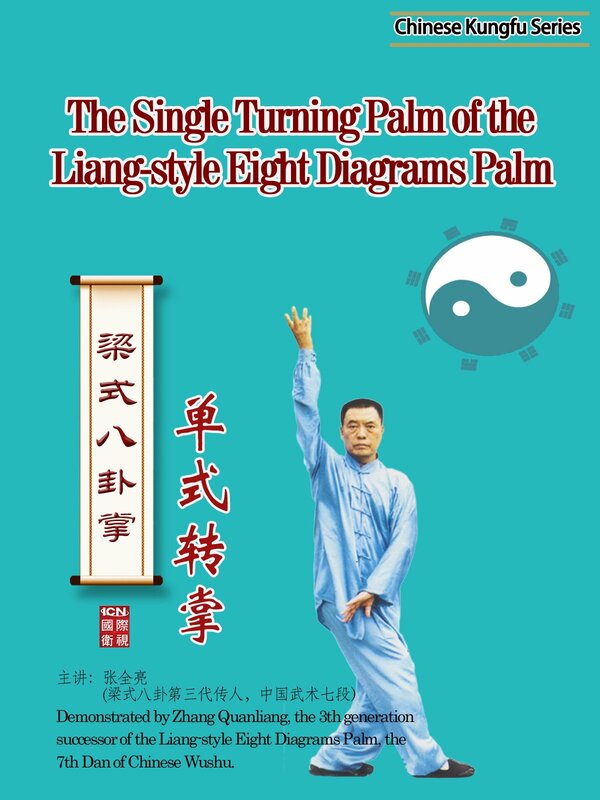 The routine is called the Eight Fixed Palms or the Eight Basic Palms. It is designed to the beginners as well as the compulsory course to learn advanced routine. It includes the Lowering Palm, Horizontal Pushing Palm, Overhead Propelling Palm, Supporting Palm, Holding Spear Palm, Pointing-Sky and Drawing Ground Palm, Yinyang-Fish Palm and Turning Millstone Palm.